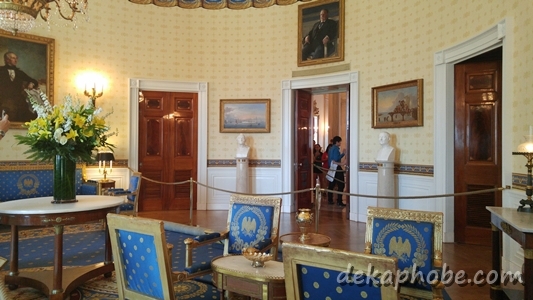 One of the exciting things that I did during my first trip to the United States is the White House Tour. 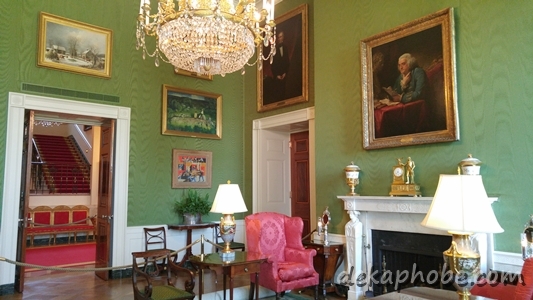 Most people don't know that The White House is open for public tours. 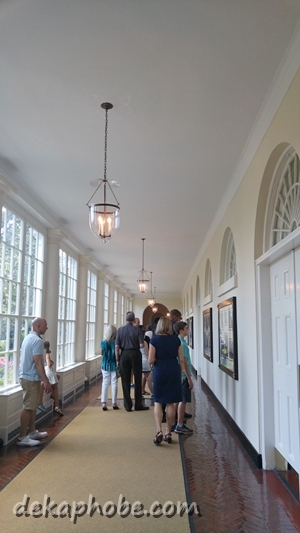 However, only the East Wing Tour can be requested by the public while the West Wing Tour is by invitation only. White House tours are free of charge, however, getting slots can be tricky. 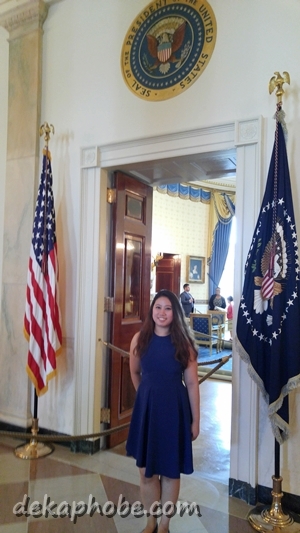 For US citizens, White House tours can be scheduled through their congressional representatives. For foreigners (non-US citizens), you may contact your country's embassy in Washington DC to request for a tour. 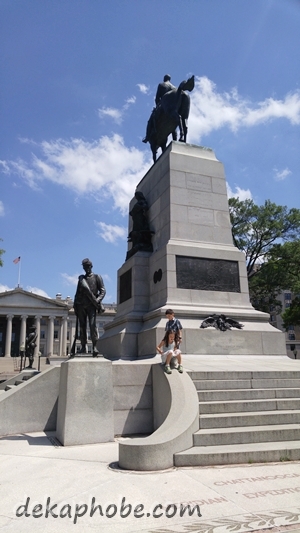 Tours can be scheduled for as early as three months ahead but as late as 21 days ahead. We got a Saturday schedule at 11:30am, and we were asked to be at the visitors entrance 15 minutes before our scheduled time. We left our things inside the car and brought only the permitted items: passport (for me), government ID (for the boyfie), mobile phones, wallets and print out of tour schedule. There is no required outfits but we were asked to dress for the weather. As expected, we had to stand outside for a long time for numerous security checks. 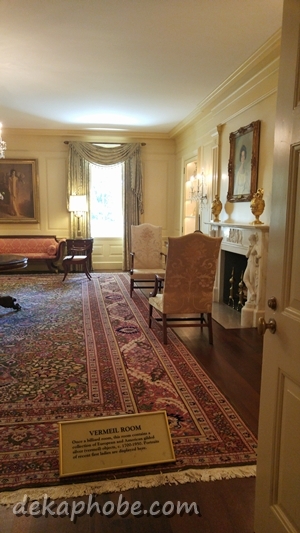 The Vermeil Room is where the collection of vermeil (gilded silver) is. The Library contains history, biography, fiction and science books, all by American authors. 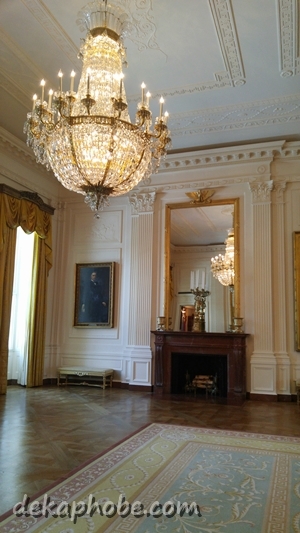 The China Room contains pieces of china and glass used by the Presidents. 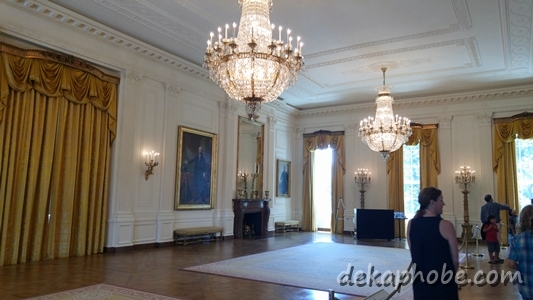 The largest room in the White House, the East Room is used for receptions, ceremonies, press conferences and other events. The next three rooms were named after their color themes: the Green Room, the Blue Room and the Red Room. 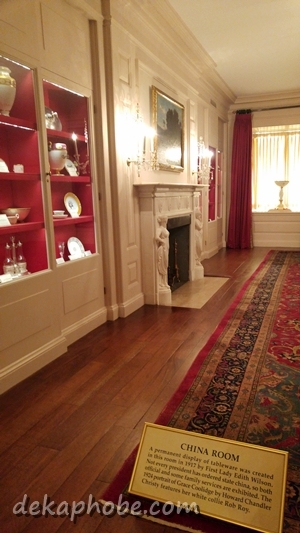 Formerly used as Thomas Jefferson's dining room, the Green Room is now used for receptions. 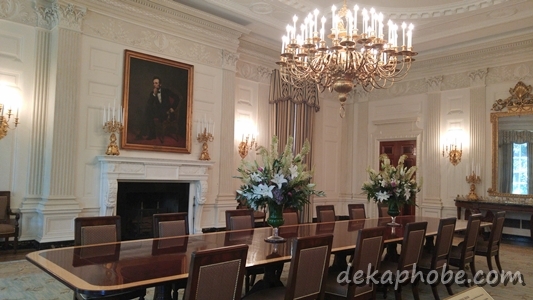 The Blue Room is often used by the President Obama to receive guests. 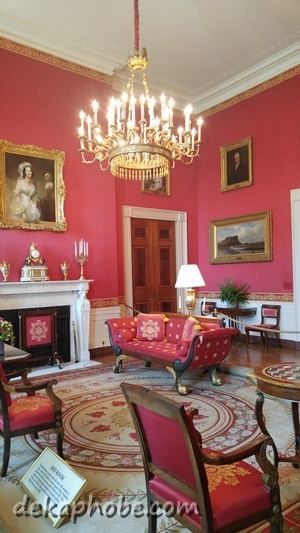 The Red Room is also used to receive guests, and a favorite by First Ladies. With a capacity of 130 guests, it is used for dinner and luncheons. 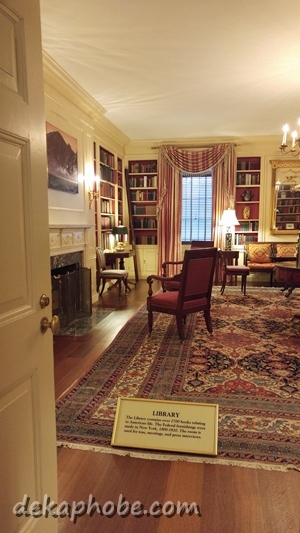 A newly-renovated part of the East Wing, this room was recently opened for functions. 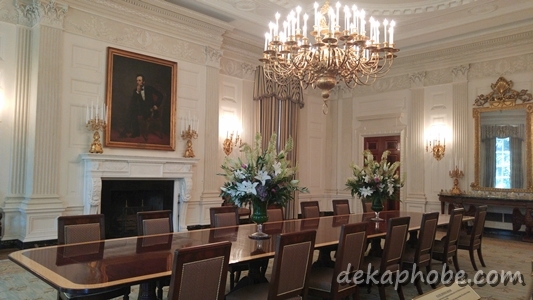 The room was said to be decorated by the First Lady Michelle Obama. 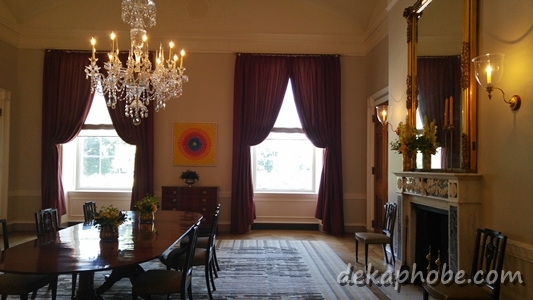 The room is decorated with modern American art. The tour inside the White House took us around 45 minutes. 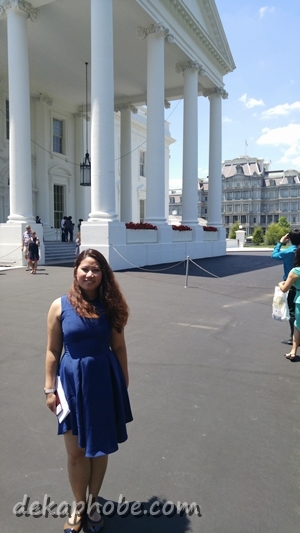 Though it involved a lot of standing outside the gates and security checks, the visit to The White House is such a great opportunity. 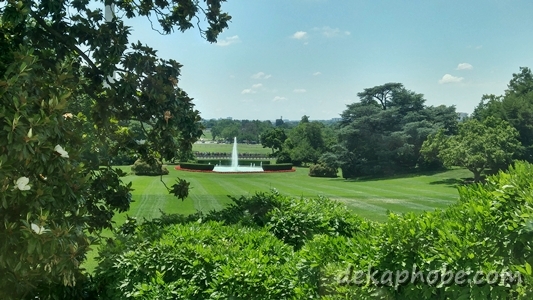 I hope we'd be luck enough to get a West Wing Tour someday. for sure you will back again..si President Barrack Obama siguro nakita mo na personal..